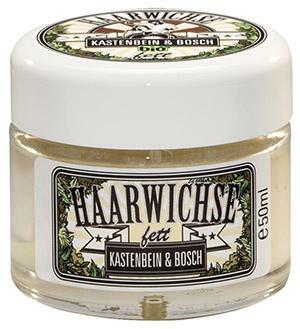 Kastenbein & Bosch Hair Wax Fat is a fatty wax for silky shiny hairstyles. Brings the hair naturally in shape and maintains it at the same time. Apply on its own or combine with matt and nonchalant Wax.